"What , do real women actually feel about being the age they are? Whatever the case, changing the way we think about aging starts with changing the way we talk about aging. Growing older is a wonderful thing because it means that we get a chance, every day, to live a full, happy life. As the beauty expert, it’s Allure's role to help people age confidently — to provide those stories, share expert insight, and make people feel beautiful no matter their number. That's why, together with AARP, we’re busting cultural stigmas around aging through their survey on women’s reflections on beauty, age, and media. Read on to find out how far we've come — and the work we still have to do to change the vernacular on aging in this country." Fifty is the new 40. Forty is the new 30. Thirty is the new 20. As hashtags, they’re ubiquitous. At face value, they’re feel-good mantras. On a deeper level, though, one thing is clear: Aging is something to deny, to dodge, to outsmart. Why be your age when you can pass for younger? 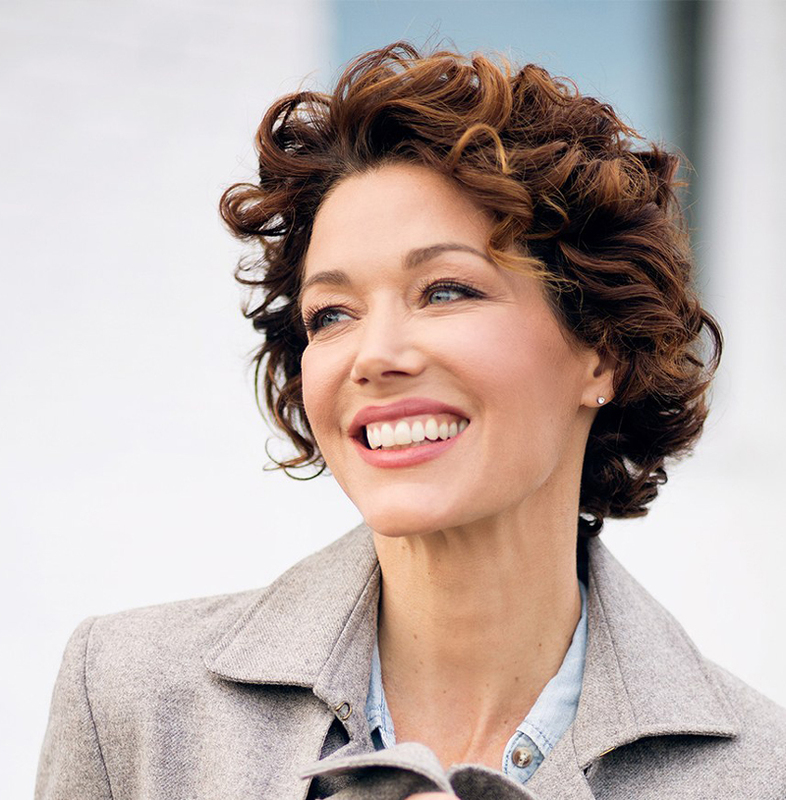 And so it is now — just over a year after Allure launched its anti anti-aging campaign — that we’re featuring a groundbreaking study by AARP to discover what 2,000 women, from 21 to 72, really feel about their age. No question was off limits. Women were asked about their skin-care routines, their body image, their biggest fears about growing older. What became immediately clear is that the average woman’s attitudes about her “number” are far more nuanced than what any expert would have you believe. While our culture tends to make sweeping black-and-white pronouncements (Boomer women feel sexually invisible! Millennials are selfie-obsessed and it’s whittling away at their self-esteem! ), our relationship with aging is largely gray. And it’s in those gray corridors that many popular notions of aging are being challenged. And even when there is representation, women are looking back at images that don’t quite reflect what they see in the mirror. Half of all women admit to being annoyed by airbrushed images on magazine covers. And yet — and yet — so much of their own personal lives are experienced through a filter. Of all groups, millennial women are more likely to get a self-esteem boost from filtered images of themselves — and from scoring “likes” on social media. While today’s women might hide behind a filter or two, they are unapologetically open about revealing their number. Only 17 percent of women hesitate when asked to spill their age. Perhaps that’s because it’s not in the forefront of their minds: Less than one-third of women, from twentysomethings to septuagenarians, consider it a defining factor in their lives. There’s less emotional weight in revealing that number since women, in general, are taking better care of themselves holistically. Across generations, these women regularly work out, eat fruits and vegetables on a daily basis, get annual medical exams. And they're not above using beauty products for a boost. Almost a third of Gen Xers and Boomers admit to turning to them to look younger and help soften the years. But they’re not slathering on wrinkle creams. Less than half of women have purchased them (and just a quarter of millennials). In many ways the promise of reversing wrinkles seems hopelessly out of step with an Insta-feed that celebrates more immediate pick-me-ups, like sheet masks. But perhaps the biggest takeaway is that while some generation gaps do exist, Millennials, Gen Xers, and Boomers were more in lockstep than not. As a whole, women believe in the idea of “healthy aging” — 64 percent of Millennials and Gen Xers, and 75 percent of Boomers to be exact. And that mindset is crucial. Harvard researchers have found that people who feel old tend to age faster. And Yale University research echoes that, suggesting that people who think aging means declining tend to develop cardiovascular and memory problems. Perhaps that explains why, instead of being tethered into one generational bucket, some sociologists have coined a new term — Perennials, a more aspirational descriptor that suggests, like the namesake blooms, women can thrive for years to come. A concept we can all get behind.